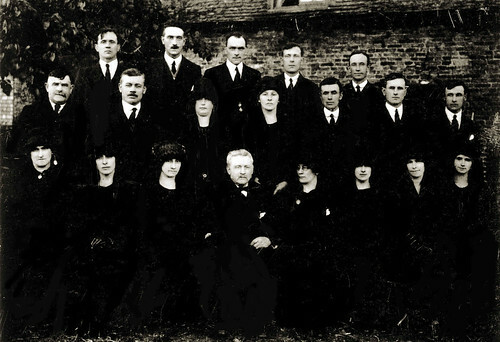 Celebrating Father’s Day this weekend – check out my photo gallery of 14 of my ancestral fathers. It’s Father’s Day here in the UK this Sunday, so in the same way that I marked Mother’s Day with a photo gallery, I thought that I would do the same for my paternal and maternal fathers. Interestingly, there are fewer photographs of my male ancestors. This will of course be down to one or two instances where illegitimacy leaves them absent, but maybe the luxury of late-19th and early-20th century meant photography was only afforded for their wives? 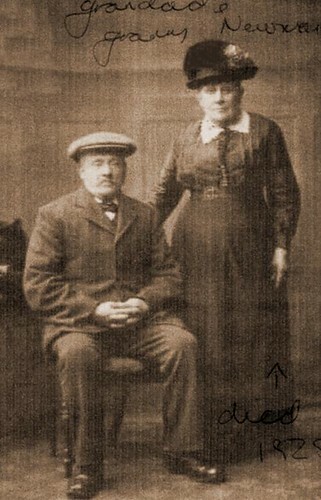 Alfred and Harriet Newman, originally uploaded by familytreeuk. The surname of COOPER appears in my paternal ancestry. The most recent bearer of this name in my ancestry was Harriet Cooper, my Great Great Grandmother who was born in 1854 in Ely, Cambridgeshire, England. She was the youngest of the (at least) 13 children of Robert Cooper and his wife Elizabeth Fison, again of Ely. Harriet herself married Alfred Newman, and went on to have 13 children of her own in Ely before dying in 1925. There were many COOPERs in Ely during this period but it is unclear as to where, geographically, the surname originated as the surname is believed to be one of the ‘occupational’ surnames. Cooper, as an occupation, derives from Middle English and roughly means ‘maker of barrels’. It was also often used as an anglicised version of the Jewish surname Kuper. Research has taken me back to the mid-1700s, but with no mention of barrels. The origins of this surname, as a name are lost in time, and it’s down to me to try and find the origins of the family instead.